Toronto-born author Kerri Sakamoto will read from her acclaimed third novel Floating City for the Jan. 29 edition of the Canadian Writers in Person Lecture Series at York University. Sakamoto, who grew up in Etobicoke, Ont., and studied English and French at the University of Toronto, has received high praise for her works. Her first novel, The Electrical Field, was a finalist for a slew of awards – the Governor General’s Literary Award for Fiction, the Kiriyama Pacific Rim Book Prize and the IMPAC Dublin Literary Award – and won the Commonwealth Writers’ Prize for Best First Book and the Canada–Japan Literary Award. Her second novel, One Hundred Million Hearts, was also well-received. 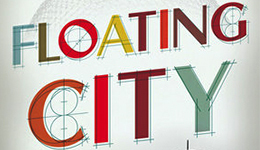 Sakamoto’s third novel, Floating City, released in 2018, follows the journey of a boy whose fierce ambition leads him from his humble beginnings to a life as a wealthy property developer – but despite his success, he cannot escape the ghosts of his past. In addition to writing novels, Sakamoto has also penned scripts for independent films and has focused much of her her writing on the topic of visual art. She has served as a judge of the Governor General’s Literary Awards, is a member of the Canadian jury at the Toronto International Film Festival and is a Distinguished Visitor at the University of Toronto’s University College. Canadian Writers in Person is a for-credit course for students, presented by the Faculty of Liberal Arts & Professional Studies (LA&PS). It is also a free-admission event for members of the public. All readings take place at 7 p.m. on select Tuesday evenings in 206 Accolade West Building, Keele Campus. Canadian Writers in Person is a course offered by the Culture & Expression program in the Humanities Department in York’s Faculty of Liberal Arts & Professional Studies. For more information, contact Professor Gail Vanstone at gailv@yorku.ca.